The Board of Directors of Boston Pride will attend the 2018 Annual General Meeting of InterPride, the international association of Pride organizers, held this October in Saskatoon, SK (Canada). 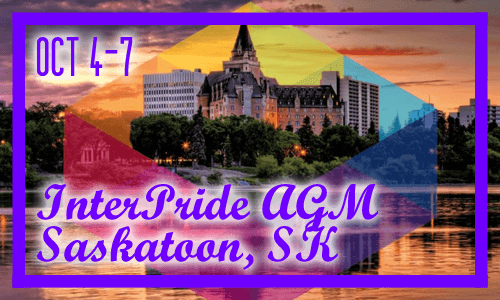 Hosted by the Saskatoon Pride Festival team, this year’s AGM will include both general organizational business, as well as networking and educational sessions. This international conference is the occasion for Boston Pride to share its best practices with other Pride committees around the world, as well as to learn from others. Boston Pride is a founding member of InterPride, which was created in Boston in 1982.